Washington, D.C., May 10, 2011 – Panama Canal Authority (ACP) Administrator/CEO Alberto Alemán Zubieta and Soy Transportation Coalition (STC) Chairman Ed Ulch signed a Memorandum of Understanding (MOU) to foster the growth of global commerce. During a luncheon sponsored by the STC in Washington, D.C. on Monday, both parties affirmed their commitment to mutual growth and cooperation. The objectives of this agreement are to undertake joint marketing efforts, data exchange to forecast future trade flows and market trends, and the sharing of information related to modernization and improvement projects. The STC, comprised of nine state soybean boards, advocate for the improvement of transportation means for shippers of U.S. soybeans and soybean products. U.S. grain exports are a major commodity trade for the Panama Canal. These cargoes are key to the strong performance of dry bulk transits through the waterway. According to the STC, in 2010 soybeans were the most transited U.S. agricultural commodity through the Panama Canal. “We appreciate the Soy Transportation Coalition reaching out to us for this Memorandum of Understanding. 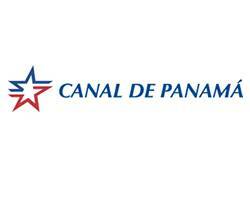 We welcome partnerships and engagements from organizations and industries that benefit from the services of the Panama Canal,” said Mr. Alemán Zubieta. During fiscal year 2010, grain movements totaled 40.4 million long tons, primarily from the U.S. Gulf of Mexico to Asia. Furthermore, soybean cargoes reached a record 15.5 million long tons (560 million bushels), which amounted to 38 percent of total grain cargoes. "We must prioritize investments to U.S. infrastructure so our agricultural exports can benefit from the expansion of the Panama Canal," said Mr. Ulch. Once completed in 2014, the expanded Panama Canal will have a new lane of traffic, doubling capacity and allowing for the transit of longer and wider ships, also known as post-Panamax.